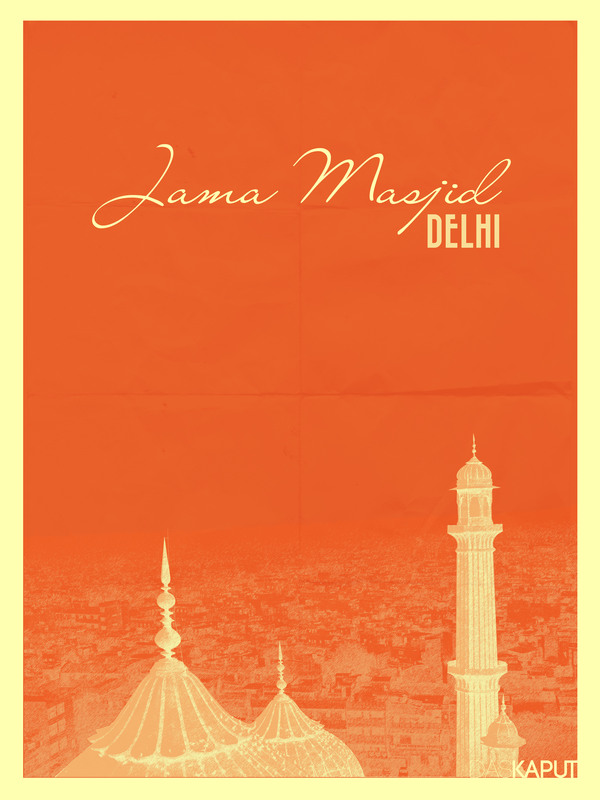 The dome and tower of Jama Masjid. There are some points in life when you feel everything is going wrong. Just wrong. There are some points where life ceases to have any meaning only because you think life has given up on you. You look into the crowded streets, and suddenly, the hustle of the people and the bustle of the cars make absolutely no sense because nothing answers your beautiful mind’s question – “What is the purpose of all this?” Just nothing. 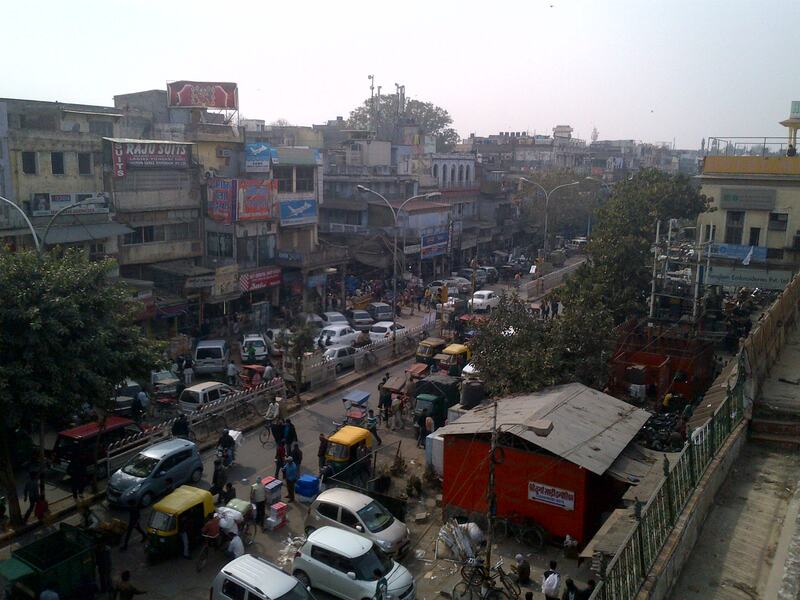 I consider Chandni Chowk to be my second home; though I don’t know where my first is. Calling it second keeps me in love with a sense of greater acceptance. With its beautiful streets packed with people, cycle rickshaws, cars and more people; lined with shops of pakoda, samosa, parantha, lassi, clothing, jewellery, hardware; and roadside vendors selling freshly baked biscuits, fruits, toys; reminds me of us. The order in chaos reminds me of us. The very rooted sense of harmony, understanding and patience in a place where the density of population leaves a gap of only a few millimetres between any two entities, which are in thousands, reminds me of us. Crossing boundaries of race, colour, religion and language reminds me of us. I visit Purani Dilli atleast twice a month to be a part of the beating of this heart that is us. There are some points in life when you feel everything is going wrong. I was effectively experiencing one such moment a few months back, in February, which lasted for weeks. 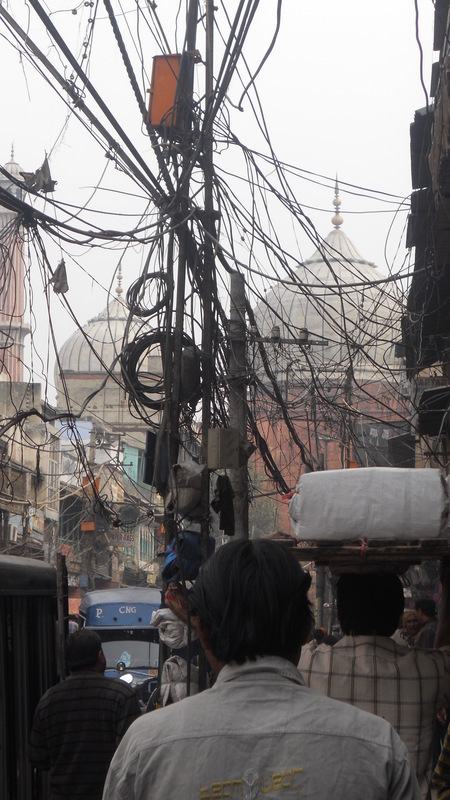 During this time, I had to go to Chandni Chowk as a requirement of a class assignment (to understand cluster sales) and this time, the place didn’t seem home. I couldn’t see us; I couldn’t hear the heart beat. Did I attach all those connotations and beliefs with that over-crowded, unhygienic and dingy place so that I could be in peace with it? Or that I could justify its irreparable chaos? The Pigeon Theory seemed so plausible. It seemed more sensible to me that I was thinking rationally and based only on what I saw. But that day, something happened that changed me forever. 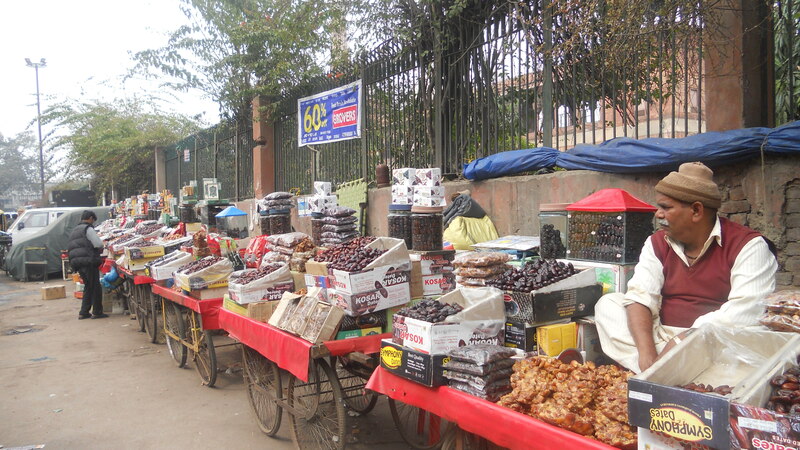 I started studying cluster markets – a gathering of many roadside vendors who sell the same product. I kept walking through the streets clicking their photographs, and then I saw a group of vendors who were selling ghee rice and biryani right outside the Jama Masjid. Hungry as I always am, irrespective of any meaning in life, I moved up to one of the vendors and spoke to him regarding his business and his sales. I gathered he was really proud of what he did, and didn’t quite care about the money he made. He sold a plate for fifteen rupees, which five kilometres away from that spot would sell for sixty at least. My gloomy heart and a rationally pumped mind pushed me into a classic case of Cognitive Dissonance when I didn’t appreciate his way of living, vocally. He offered me a plateful of ghee rice and biryani. I ate. And they were one of the most delicious forms of flavoured rice I’d ever tasted. I took fifteen rupees out of my pocket and gave it to him, but, instead of taking the money, he pulled me into a tight hug and said “Aap mere bacche ho; main aapse paise kaise le sakta hoon? Aap khake tarif kiye, khush huye, bas isi se khushi milti hai.” (How can I take money from my own child? I derive happiness out of your satisfaction and compliments.) I put the money back in my pocket. 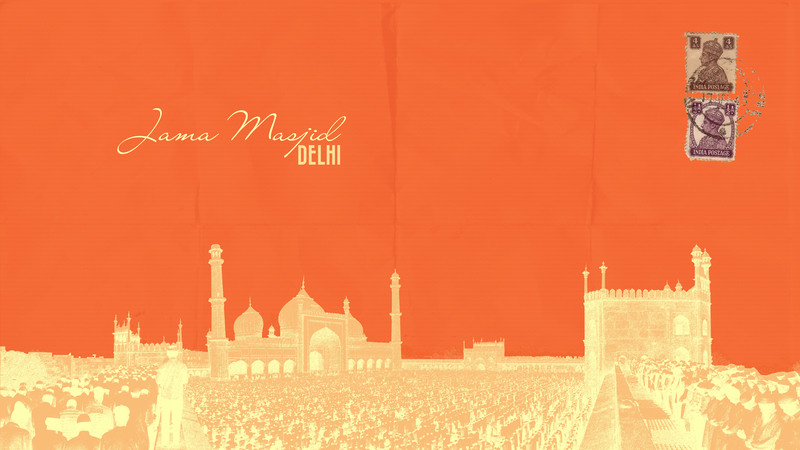 After a five minute climb up the spiralling staircase, I reached the top of the left minar of Jama Masjid. I was at the highest point of Purani Dilli for the first time. The after-taste of the biryani had more faith, love and conviction than the capitalism-strewn city below me. Considering me his son, he broke shackles of distance with such beauty, that I couldn’t help but surrender to his faith in everything around him. Up in the tower, with closed eyes, I thanked the well-designed sequence of events that made me realise that nothing needs to make sense if they make me feel complete. I opened my eyes and I could feel the heart that is us, beat again. The dome of the Masjid shone brilliant in the sunset light. Absolutely love how the last line wraps it all up. The thing that saddens me is that I find it difficult to write with the automatic reflex like you did. The ease with which a reader can associate himself with what you’ve written is the highlight and, not to forget, the ammunition that makes a writer carry on!